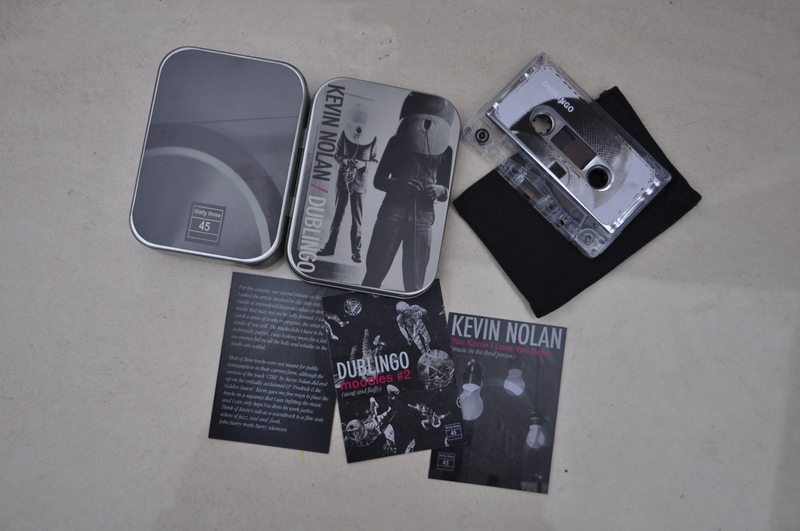 New release on thirtythree-45, a split cassette from ‘Kevin Nolan’ and ‘Dublingo’. Just under 60 minutes of soulful, dub noir, electronica and jazz. Limited to just 50 copies. Cassette housed in tin box, stickered front & back. Comes with 3 inlay cards and cloth stitched sleeve.